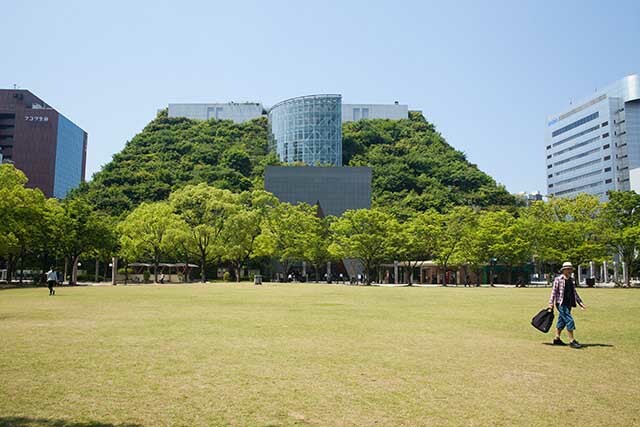 This is one of Fukuoka’s main contributions to the world’s ecological architecture. It is home to the Fukuoka Symphony, international conference halls, several galleries, and a modern shopping concourse with international and Japanese food. This is a gathering point for many in the city, who not only come to take advantage of the art and commercial facilities, but also to admire and enjoy the building’s main feature, its Step Garden terraces. In 2015, CNN included the “Step Garden” to its list of 10 of the world’s most beautiful sky gardens, and with good reason. Rising over the whole of Acros Building’s southern facade, garden terraces full of luscious greenery provide a rich environment and a natural oasis within the urban centre. The garden area measures 5,400m2, houses 120 varieties of plants, and is part of the city’s eco-friendly footprint, contributing to the reduction of CO2 emissions. 1. The plant-filled terraces are not only beautiful to admire, they also provide a natural escape from the surrounding city bustle. The entrance is free. There are wooden benches throughout the garden where you can sit and enjoy the various plants. The walk up the sprawling garden and its fountains also leads to a rooftop observation deck with a nice view of central Fukuoka including Hakata, its harbour, and Tenjin. 2. Tenjin Central Park is located at the footsteps of the terrace garden and is a popular hangout for locals who come to take a break from work. You can grab a snack and have an improvised picnic surrounded by the bountiful greenery. From time to time, and especially on weekends, the park plays host to various cultural festivals which are open to the general public. 3. For performance arts enthusiasts, this is definitely a place of interest. Acros Fukuoka offers a variety of world-class musical and cultural events. Every month, foreigners are invited to enjoy the Fukuoka Symphony’s world-class performances, and/or their choice of the many free exhibitions of Fukuoka arts and crafts held in the building. 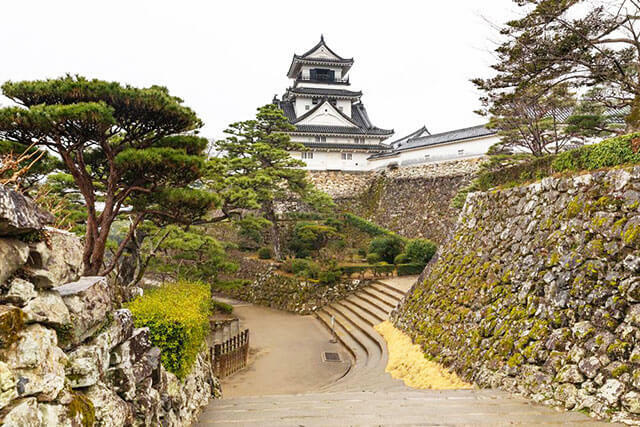 A visit to the Acros Fukuoka Building fits perfectly in an itinerary to explore the shopping areas near Tenjin Station and the Fukuoka Castle ruins. The terraces are open 9am and close anywhere from 5pm to 6:30pm depending on the season, so you can add this stop on your tour at any time. Keep in mind that the rooftop observation deck only opens on weekends and holidays from 10am to 4pm so plan accordingly if you wish take in the views. 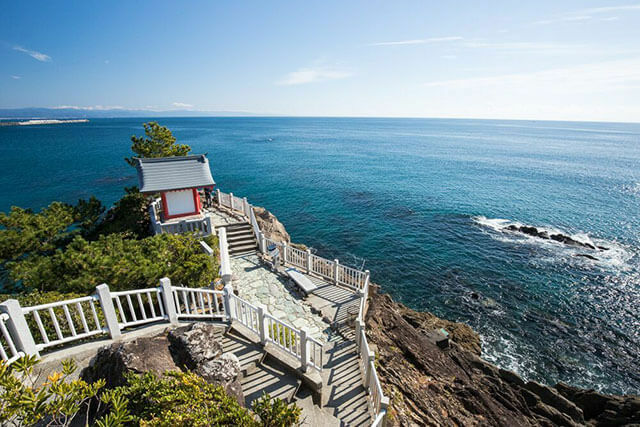 If you require more advice on your travelling plans, the Acros Cultural and Tourist Information Centre is conveniently located on the main floor and the knowledgeable staff are more than happy to provide travelers with information not only about Fukuoka but also Kyushu in general. From Hakata Station, the building is reachable via the Kuko Line and is a 2-stop train ride from Nakasu-Kawabata Station. From Tenjin Station a 5-minute walk will suffice to enjoy the Step Garden.